Lorenzo Romagnoli is an interaction designer and creative technologist, with an expertise in digital media, physical computing and digital fabrication. He was a member of the team that founded and ran Italy’s first Fablab in 2011. From 2012 to 2014, Lorenzo pursued a master in Design for Interaction at the Delft University of Technology (TU Delft) in the Netherlands. He graduated designing a system for simplifying the design and prototyping of connected objects. 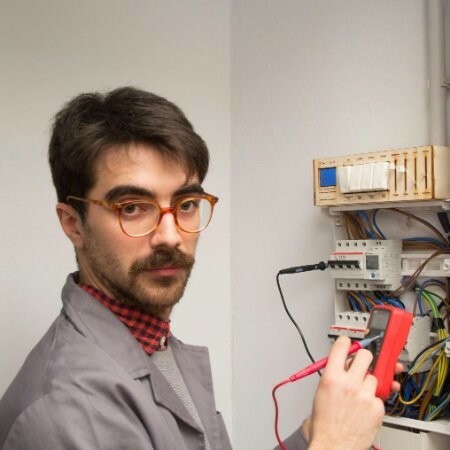 In 2015 Lorenzo Joined the Arduino team in Turin; serving as project manager and “maker in chief” of project Casa Jasmina. He currently works as consultant between Italy, The Netherlands and China, designing and prototyping near-future products and services. He teaches in several design school around Europe and is part of automato.farm, a design collective researching and developing future products and interfaces… sometimes real and sometimes fictional.